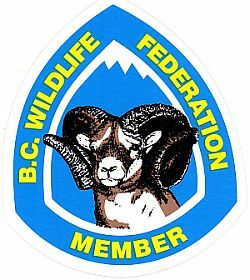 Membership in the CVRG automatically makes you a member of the BRITISH COLUMBIA WILDLIFE FEDERATION. The Club supports the BCWF because we need their strong voice at the Provincial level supporting our rights to hunt, fish and have access to lands to exercise those rights. They are the only powerful group on our side which often has a seat at the table with Government. The BCWF is the largest and longest standing, province-wide, voluntary and locally funded conservation organization in British Columbia. The Federation consists of more than 37,000 members and 109 clubs that are active throughout B.C. whose aims are to protect, enhance and promote the wise use of the environment for the benefit of present and future generations. NOTE: Continuing members should receive a membership card and insurance letter a few weeks after you join and receive the BC Outdoors magazine on a quarterly basis. You need to have your membership card and policy with you if you use the insurance for your ATV. If you do not receive your card, phone 1-888-881-2293 and ask for membership. Remember to notify them of any address change.